The San Diego Crew Classic is only as successful as the community behind it. The San Diego Crew Classic, from its modest beginnings over four decades ago, has matured into one of the largest regattas in the world. The regatta provides a venue for high school junior programs, collegiate teams, masters’ clubs, and even Olympic-level competition. San Diegans can be proud of the strong influence the regatta has had nationally on the sport of rowing. Rowing has had a long tradition in our city. Although commonly considered a mostly Ivy League and east-cost sport, rowing in San Diego dates back to 1888, when a men’s rowing and swim club was established, eventually becoming the San Diego Rowing Club (SDRC). We have the privilege of hosting such a prestigious event that is not only the largest regatta on the West Coast, but is now home to competitors from Freedom Rows and includes participants from Wounded Warriors and Para-rowing. The San Diego Crew Classic brings people together, so together we can give back to a sport that has given us so much. The San Diego Crew Classic is only as successful as the community behind it. Every year, this event receives endless support from programs and individuals across the country. Become one of those prominent individuals looking to make an impact on the world of rowing and support this event. Sponsorship opportunities are available at many levels and opportunities. If you do not wish to become a sponsor of our event, but still wish to donate to our longevity and ability to give back, please donate on this page. Donations provide growth and opportunity for our athletes. Rowing has had a long tradition in our city. Although commonly considered a mostly Ivy League and east-cost sport, rowing in San Diego dates back to 1888, when a men’s rowing and swim club was established, eventually becoming the San Diego Rowing Club. All donations are appreciated and go back into the growth of this event and enabling the Crew Classic to not only provide a competitive field of racing but an outlet for athletes in all walks of life. Donations have no minimum and all are just as valuable. The continuation of a world-class regatta for the benefit of San Diego and the rowing community. 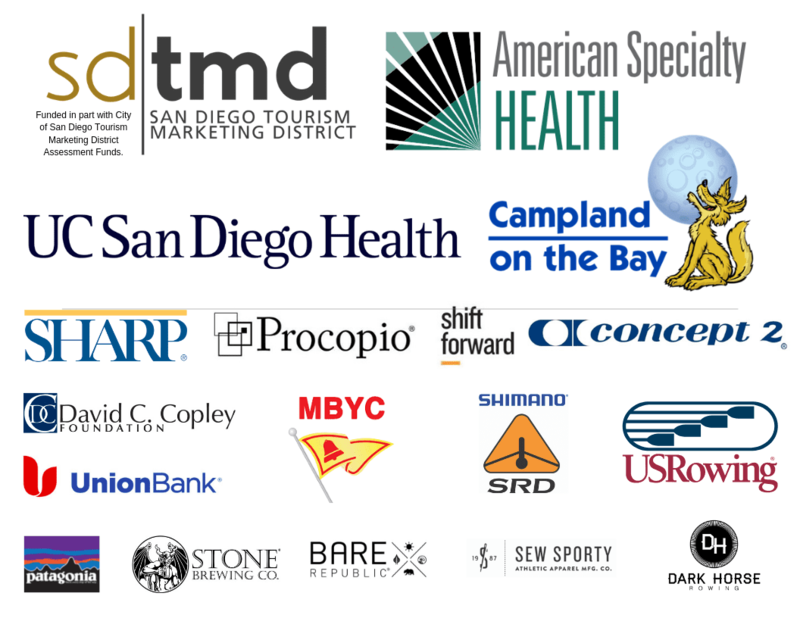 The Stewards Program was founded by the San Diego Crew Classic Foundation in 1993 as part of the 20th anniversary celebration of the San Diego Crew Classic regatta. Stewards are our most distinguished and loyal supporters because they serve as ambassadors for the sport of rowing and the San Diego Crew Classic. The Stewards Program supports the continuation of a world-class regatta for the benefit of San Diego and the rowing community, which instills a lifelong participation in the sport. There are three categories: Gold Stewards, Silver Stewards and Bronze Stewards. For more information about becoming a San Diego Crew Classic Steward, email the Crew Classic at info@crewclassic.org. Funded in part with City of San Diego Tourism Marketing District Assessment Funds.